Metelen team certified for safety to improve your experience. Metelen gets seal of approval for safety at work. 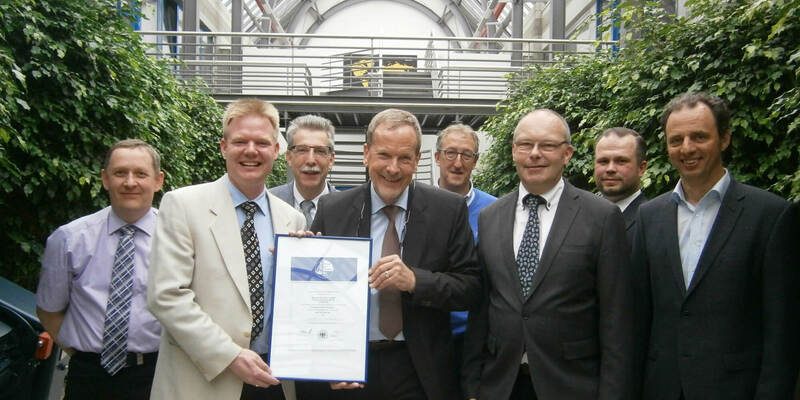 The Wheelabrator site in Metelen, Germany, has been awarded an important and highly regarded certification for its safety processes and culture. The team (pictured) received the official certificate on Tuesday, 2 May, in Metelen, following an 18-month programme of implementing advanced safety procedures and ensuring that “safety thinking” becomes second nature across the whole Wheelabrator team. The certificate „Sicherheit mit System“ is awarded by occupational insurance association BGHM, who worked in partnership with an eight-strong Wheelabrator team, headed up by Christian Heemann (quality manager) and Hans Bonrath (occupational health and safety practitioner), accompanying the highly successful process. Centrum pro inovace produktů společnosti Wheelebrator v německém Metelenu navrhuje řešení jak pro vzduchové tryskání, tak pro tryskání s metacími koly pro automobilové a průmyslové zákazníky po celém světě.